Janice Gross Stein is the Belzberg Professor of Conflict Management in the Department of Political Science and was the Founding Director of the Munk School of Global Affairs and Public Policy at the University of Toronto (serving from 1998 to the end of 2014). 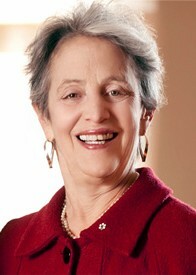 She is a Fellow of the Royal Society of Canada and a member of the Order of Canada and the Order of Ontario. Her most recent publications include Networks of Knowledge: Innovation in International Learning (2000); The Cult of Efficiency (2001); and Street Protests and Fantasy Parks (2001). She is a contributor to Canada by Picasso (2006) and the co-author of The Unexpected War: Canada in Kandahar (2007). She was the Massey Lecturer in 2001 and a Trudeau Fellow. She was awarded the Molson Prize by the Canada Council for an outstanding contribution by a social scientist to public debate. She is an Honorary Foreign Member of the American Academy of Arts and Sciences. She has been awarded Honorary Doctorate of Laws by the University of Alberta, the University of Cape Breton, McMaster University, and Hebrew University. January 17, 2019 Janice Stein in National Post: A federal employee is detained in China. Does he have diplomatic immunity? January 14, 2019 Janice Stein in Globe and Mail: What's so scary about Huawei?